The CEO of IBM, Thomas Watson, once predicted, “I think there is a world market for maybe five computers.” We’ve come a long way since that ill-fated comment and the next revolution (the next Industrial Revolution, according to Forbes) is said to be the Internet of Things (IoT) – with Cisco predicting upwards of 50 billion devices and computers by 2020. That’s seven times more ‘smart things’ than there are people on the planet! No doubt you’ve heard of the IoT – it’s seems hard to miss these days. In short, it won’t just be computers and mobiles that are connected, but office lights, industrial machines, cars, agricultural fields and local buses. Literally, anything and everything. And that’s not omitting the explosion in ‘wearables’ such as smartwatches and other health gadgets. The IoT will make new data available in ways we couldn’t previously imagine. It will spur new markets and connect existing markets that previously had little overlap, further driving the need for applications that can make sense of the available data to extract meaningful results. Automating this kind of information discovery will be huge, IDC forecasts a US$7.1 trillion market by 2020; McKinsey suggest a more ‘reserved’ $6.2 trillion impact by 2025. When you see numbers like this you realise that something rather dramatic is afoot. So why now? For starters, a number of technical advances have been made that will enable and then drive the IoT movement. Firstly, mobile communication, at least in the developed world, is now plentiful and cheap. New developments in 5g and radio communication standards will only make this even clearer. Mobile operators, tired of giving away thousands of free minutes and text messages, are seeking new business models to boost their balance sheets – IoT is the answer. Secondly, cheap, distributed and scalable processing means that even a teen enthusiast can command a vast array of processing power (more than many governments would have had access to ten years ago) for little more than the cost of a can of cola. Finally, low-cost, ‘good enough’ sensors and devices such as the Raspberry Pi are beginning to litter the market, driving both an excited hobbyist community – rekindling memories of the PC era of the late 1970s and early 1980s – and serious high-tech businesses. Electronic devices are coming off production lines with internet-connected sensors installed as standard. Whether we ask for it or not, things are getting sensored up. It is true that some sectors have been exploiting this sort of capability for years – aerospace, mining and Oil & Gas spring to mind (remember hearing about M2M?). The difference now is in the sheer scale and ambition. IoT is not just about technology and interconnections, it’s about life-wide integration to affect much bigger changes. From smart cities to intelligent transport, it’s about organisational and personal change as much as it is about technology. That also means its impact will be felt far and wide. Smart City designers want to use IoT to exploit city data to better inform citizens and provide a more transparent model of governance. “Yeah, right”, I hear you say, “I’ll just be given more adverts for things I don’t need,” – but this is serious stuff, designed to make your everyday life easier. Going back to business, a standout IoT-ready area gaining a lot of attention is agriculture. ‘Agritech’ (agriculture and technology) is already seeing clear benefits from early precision agriculture, with GPS-controlled tractors and using satellite imagery and drones to fine-tune farm inputs. You don’t need to look far to understand the pressures the farming community is under – asked to grow more whilst using less, food security under increasing global demand, restrictions on the use of pesticides, water shortages, uncertainty of politically contentious farm subsidies and rising energy costs (which have a direct impact on pesticides and other farm input). Spurred on by earlier agritech successes, IoT is seen as a long-overdue solution to driving further efficiencies into the production of our food. Using low-cost IoT sensors, crop fields and greenhouses are having sensors installed to collect data on things such as soil moisture and temperature, nutrient levels, atmospheric conditions and solar irradiance. By applying machine learning techniques, patterns and trends can be identified to calculate yields, optimise fertiliser and irrigation needs and warn of potential infestation risks. 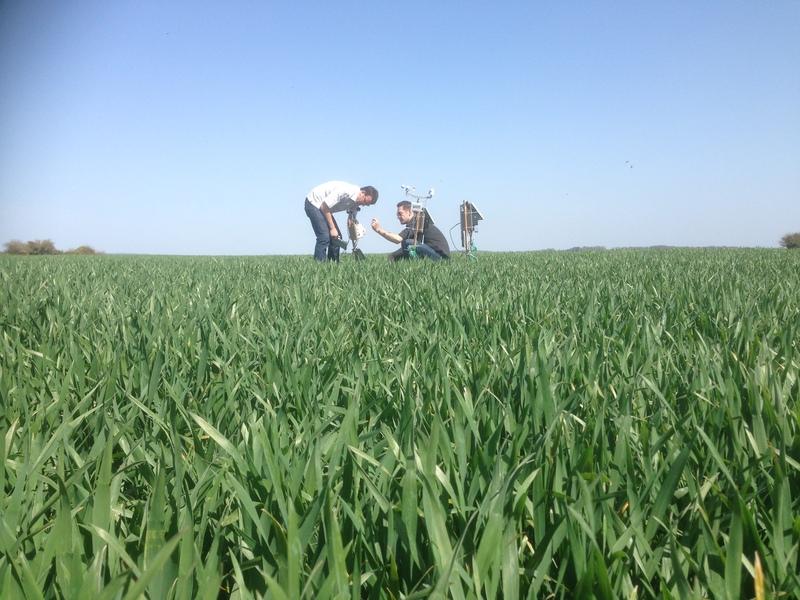 Early work in this area is already looking promising although even from Seneseye’s own trials, the agriculture sensor market needs to mature further before the full potential can be realised. That’s not an issue in the second hot area: manufacturing. The potential of IoT in manufacturing (or any business that operates machines) is clear. Indeed, big business have been instrumenting their expensive machines for years so that impending failures can be identified before they occur – various terms such as condition monitoring, asset management and predictive maintenance have been used. Such systems have been the key ingredient to running a pre-emptive maintenance campaign and decreasing unplanned downtime. The problem with these earlier systems, though, has been the high cost, long deployment phases and inherent complexity that required an engineering team to interpret the data and decide on suitable actions. This has meant that smaller business in particular – or those in the ‘wrong’ sector – have been simply locked out. Moreover, those systems tend to be quite niche and offer limited scope in terms of being part of a more holistic approach involving inventory management, spares and logistics control, training, asset management and continuous improvement techniques. This is where IoT is really exciting and can play a big role as it forces down prices and democratises data access, delivering a solution enterprise-wide. Fortune.com highlights that IoT could deliver maintenance savings of 25%, reduce unplanned downtime by 50% and extend the life of machinery by years. Gartner forecast 30% TCO savings through the use of ‘smart’ technologies. Coupled with advances in analytics and low cost communications infrastructure, the time for providing sophisticated and affordable predictive IoT systems is now. There will always be a need for specialist prognostics systems but most will benefit from a ‘good enough’ cost-effective solution – think of the Pareto principle and how camera-phones (once thought of as an impractical joke) have dramatically reduced sales of point-and-shoot compact cameras. IoT does not sit in a technology silo: it demands organisational and business model changes. That alone will turn off large swathes of businesses. However, benefits will start becoming too overpowering to ignore and organisations will have no choice but to adopt or fail. Business will need to create their own ‘Internet of Assets’. 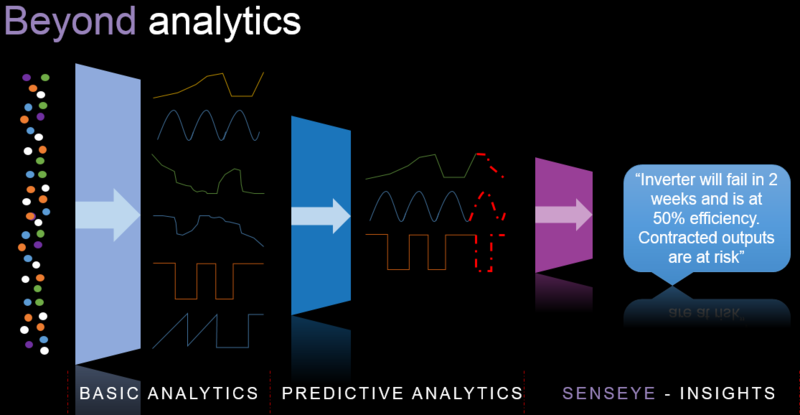 At Senseye, we are developing a product to do just that, delivering the benefits of advanced predictive analytics to organisations that have previously considered it unaffordable or too difficult to implement and work with. 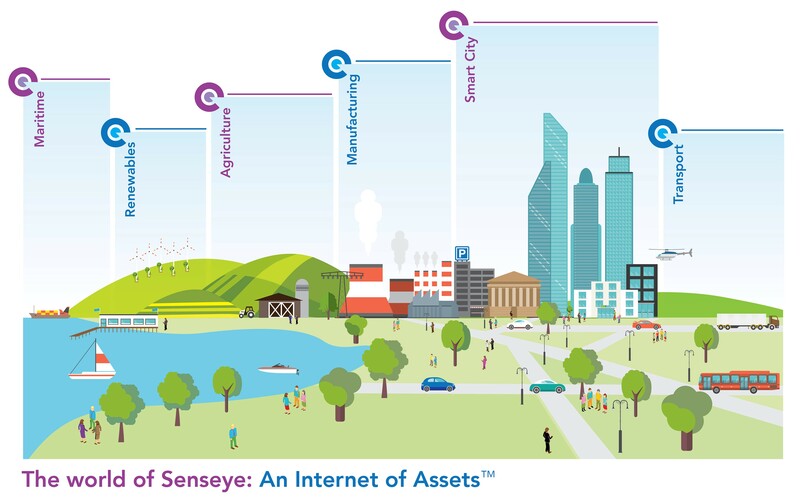 Senseye takes real-time data from IoT devices, machines and the environment and mines the data for complex patterns, trends and anomalies. In a machines environment, this tends to be accelerometers to collect vibration data, together with temperature and humidity feeds. If they exist in machine-digestible form, then maintenance records, usage patterns and spares management data would help make the results more accurate and uncover more actionable insights. Careful pattern analysis, correlation and regression makes it possible to detect subtle signatures in the data to point to impending failure or sub-optimal operation. While it is true that the system gets better the more time it ‘sees’ failures, anomalous behaviour and basic trending can be performed from the outset. 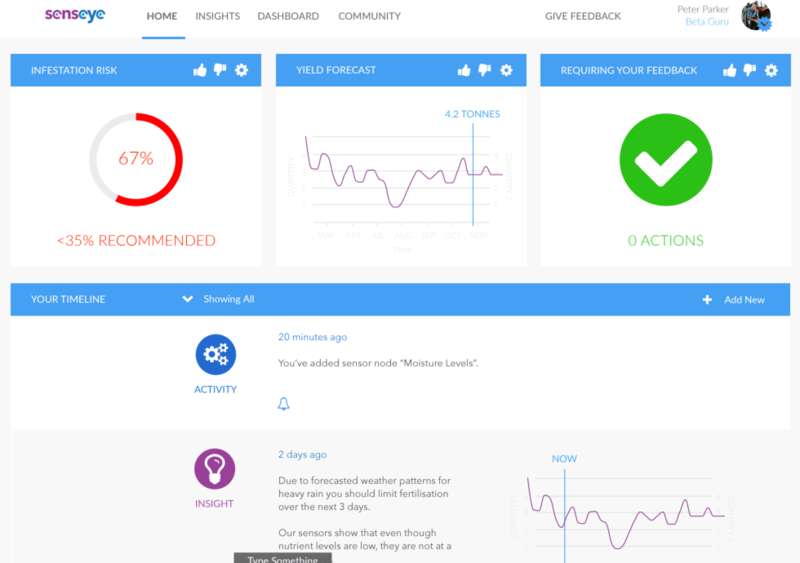 Moreover, at Senseye we are using the collective analysis of all the machines and equipment connected to our system to help refine the algorithms so they work better for everyone with a dramatically reduced ‘time to first insight’. Being able to predict failures and find ways of optimising the use of machines, whether in manufacturing or elsewhere, has serious consequences in terms of maximising machine usage, slimming down maintenance and spares management regimes and increasing productivity – all of which drive underlying profitability. In an increasingly globalised marketplace and supply chain, those that ignore such technology advances do so at their peril. However, delivering this technology to previously excluded organisations does have design implications. For one, an engineering department is unlikely to exist to interpret data and decide on what needs doing. This means that results must be succinctly described in plain English, direct to the user (even by text, if necessary) with no more hunting through graphs or Excel spreadsheets! Also, system configuration and deployment has to be ridiculously easy. These two key areas are where we are seeking to really differentiate ourselves. Senseye is currently running exclusive trials in three sectors: agriculture, solar and renewables and manufacturing. Simon Kampa is CEO of Senseye.